Dr. Kirk A. Nooks, president of Metropolitan Community College’s Longview campus in Lee’s Summit, Mo., has been tapped to lead Gordon State College in Barnesville, Ga.
A champion for diversity in the academy, Nooks has held administrative posts at Georgia Highlands College, Northern Virginia Community College and Prince George’s Community College. Prior to his career in higher education, Nooks worked as an engineering project manager at Warner Robins Air Logistics Center. Gordon State, which offers both associates and targeted bachelor’s degrees, has about 4,000 students. But like many institutions throughout Georgia and across the nation, the institution experienced a decline in student enrollment over the past decade. He said efforts already are underway to increase the numbers. “We believe the capacity and excitement is there to build on that,” Nooks said in an interview with Diverse, adding that because the college offers residential living, efforts can be made to draw in students from across the region. 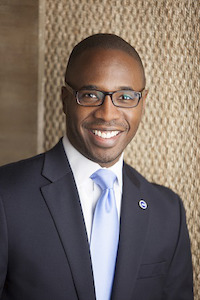 After he begins on June 1, he said he plans to focus his attention on connecting the local and regional community to the college, strengthening the alumni base and rounding out the students’ academic experience. During his five years at MCC-Longview, Nooks has been praised for his focus on improving student services, including the creation of a one-stop shop for enrollment management. He has helped to spearhead the Missouri Innovation Campus, which allows high school students to start college early. In 2013, President Obama praised the program, which is a partnership among Metropolitian Community College, University of Central Missouri and the local school district in Lee’s Summit.